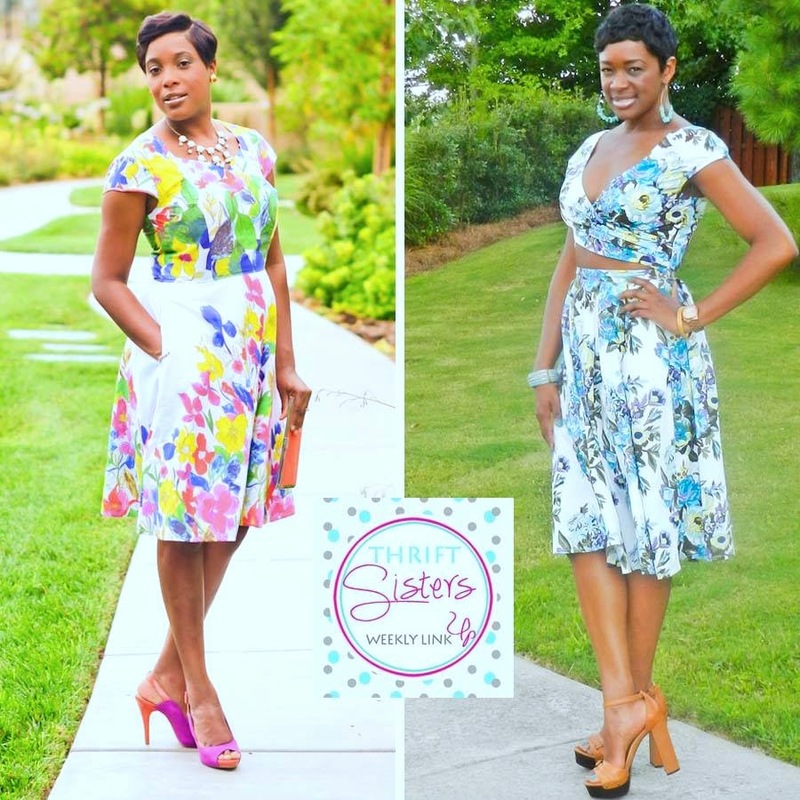 This week the Thrifting Diva and I are rocking our floral pieces from eShakti, an online custom clothing boutique. They allowed us to select a piece from their collection and provide our feedback. After browsing their extensive collection of dresses, tops and skirts, I immediately fell in love with the Floral print surplice crop top and skirt. I loved the print and of course the fact that I was getting two pieces that can be worn separately. You know I love maximizing my wardrobe. eShakti's mission is budget-friendly clothing customized for your size and taste. So all of their pieces are custom made to your size and style specifications. Their size range is 0-36. No matter your size, you can wear a piece from the eShakti collection. Do you want to add an eShakti piece to your wardrobe? From now until September 5, 2014, eShakti is offering my readers an exclusive discount. Just enter the promo code, STYLEKAYS during checkout to save an additional 10% off your purchase. So be sure to check their website, facebook and instagram page to see their selections. Now, it's time for the link up! Let the party begin! The link will remain open for 5 days. So go ahead and show us your favorite thrifted florals or any thrifted fashion under $50. 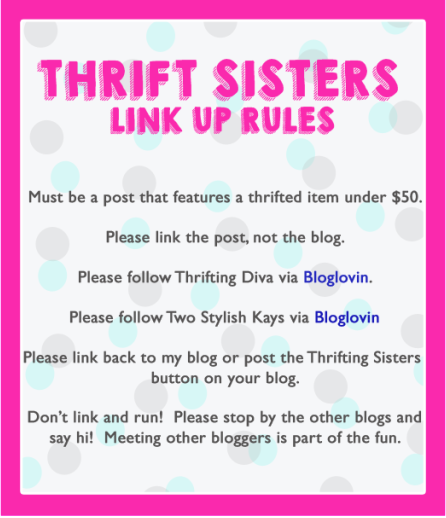 This week’s featured Thrift Sister is Wendy Derilus of JustJewels4U. 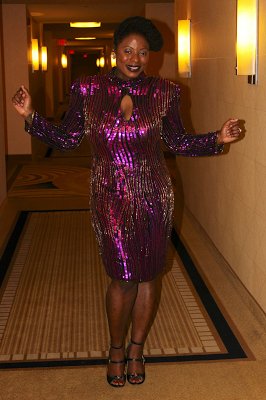 She joined our link up party in this gorgeous sequin dress. Check out here fabulous style HERE. You look fabulous! Love this outfit. Love Eshakti and how this crop trend! Love your dress! It is fabulous! So chic and love the cropped top! Amazing! Thanks @Kate Style Petite. Me too! What a stunning 2-piece dress! They have beautiful pieces. I did a review a few weeks ago, also. You styled this beauty to perfection Kay. Thank you for the sweet compliment. It was certainly a fun look. Heading to your blog now.